Raised on the Victorian surf coast, Annika Schmarsel aka Alice Ivy, recalls a childhood coloured by extensive travel in a vibrant and multilingual household. Her first foray into music, an ill-fated tryst with the clarinet, was swapped for guitar before Annika began beat-making inspired by the likes of The Avalanches, J Dilla and Bonobo. In 2016 the 23-year old artist/producer released a pair of singles, the cinematic “Touch” and soul-soaked “Almost Here” which collectively amassed 1,000,000 plays on Spotify and saw the Melbourne-based beat- maker draw comparisons to fellow sample-fiends and one of her greatest influences, The Avalanches. Alice Ivy’s musical output was compounded by near constant touring numbering more than forty shows by year’s end having completed two Australian headline tours, maiden dates in the USA and Singapore and a slew of summer festivals including Strawberry Fields, Paradise, Queenscliff Music Festival, Listen Out (Melbourne) and NYE On The Hill. Her September showcase at BIGSOUND in Brisbane was widely reported as one of the best of the conference by triple j, Purple Sneakers and The Herald Sun. 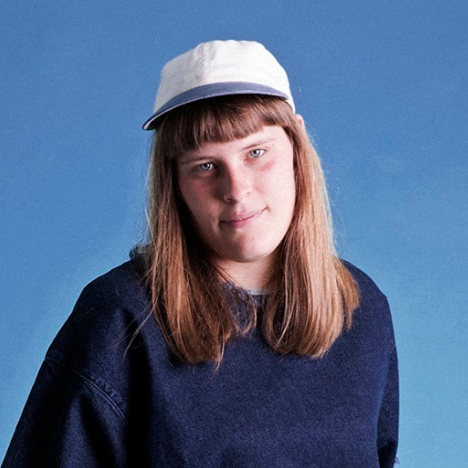 In March 2017, in the midst of a mammoth 18-date national tour supporting Urthboy & Joyride, Alice Ivy revealed the new single “Get Me A Drink” featuring Sydney’s E^ST and Melbourne rapper Charlie Threads on shared vocal duties, which The Age newspaper recently placed #8 in their “Best Songs Of 2017 so far” feature. In April 2017, Alice Ivy travelled to Toronto to showcase at Canadian Music Week prior to a run of US shows in NYC and LA before returning home for performances at Groovin’ The Moo (Bendigo), VIVID, Splendour In The Grass and a sold-out headliner at the Northcote Social Club in her hometown of Melbourne.